Ek Sitam Aur Sahi is a drama is aired on Express entertainment every Monday to Friday at 9:30 PM. 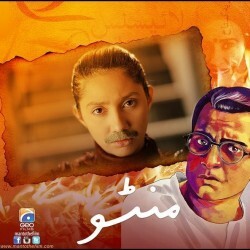 The drama is directed by Nadeem Siddiqui and the story is written by Rukhsana Nigar. The drama is starring many famous actors in lead roles such as Jana Malik, Shahood Alvi, Mawra Hocane and others. Ek Sitam Aur Sahi is a family entertainment drama. If you are looking for Ek Sitam Aur Sahi drama actors names, timings, on-air days, photos, and OST title song then you can find these here. You can also find the public opinion and reviews about Ek Sitam Aur Sahi drama here.